La Clara, a 25-story luxury building in West Palm Beach, Florida, has broken ground. 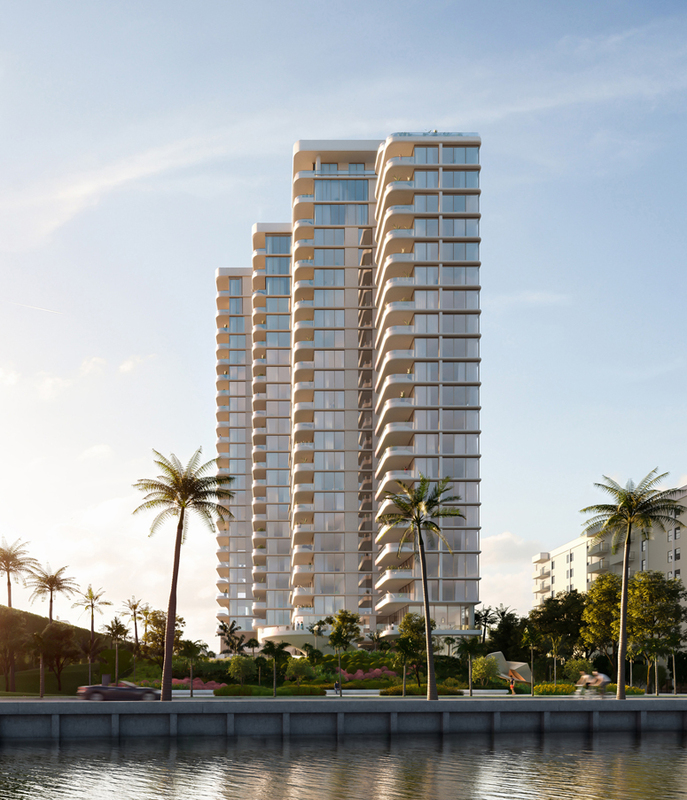 La Clara, a luxury high-rise designed by Canadian architect Siamak Hariri, has broken ground in West Palm Beach, Florida. 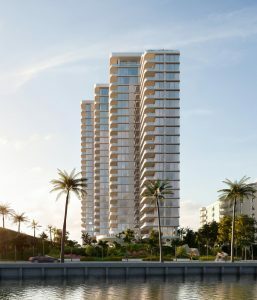 Housing 83 units, the 25-story residential tower will overlook the Intracoastal Waterway and the Atlantic Ocean. It will stand as a secluded and refined oasis in a West Palm Beach community. With spaces created for peaceful living and luxury, La Clara will feature one to three-bedroom residences ranging from 139 m2 (1500 sf) to more than 279 m2 (3000 sf), and with three penthouse floors at the top. Most residences will have a private terrace with panoramic ocean views that faces south-east and allows for plenty of natural light but still offers privacy. The solid elements of the tower will be clad in white stucco, while the podium levels feature Roman travertine, coral stone, and granite with bronze accents. Amenities will include a spa, pool, fitness and club rooms, indoor/outdoor private dining, a bar and lounge, and a private tasting room. The interiors of La Clara reflect the coastal landscape with light finishes that give the space an airy, yet sophisticated simplicity. Every design choice has been planned to propose a fresh take on contemporary Floridian modernism and high-rise coastal living.